I cannot believe how cold it's been lately. I know everyone says we've had a mild autumn, but I am really really feeling the chill now! I've been meaning to blog this recipe for a year now, (whoops!) and I think it's finally cold enough again to justify an indulgence of peanut butter hot chocolate. So, you may remember last year, when Bowery to Williamsburg opened, there was a big flurry on social media about their peanut butter hot chocolate - I was super excited to try it, but it took me ages to find a time to go and visit. 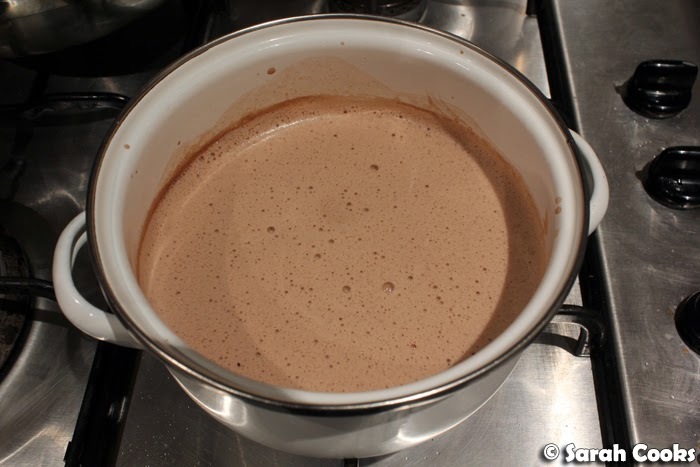 However, the lure of a PB hot choc was too strong, and I set about trying to make one at home. After some internet research and much experimentation, this is what I came up with: a simple mixture of milk, smooth peanut butter, cocoa powder and vanilla sugar. 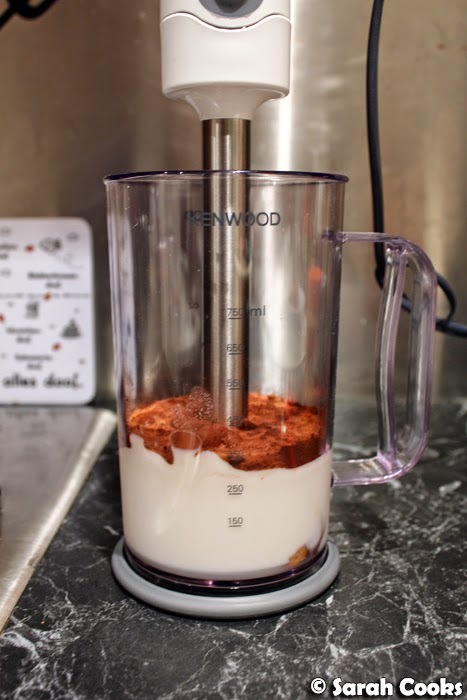 I use a stick blender to mix the ingredients and get the finished product nice and foamy, but a regular blender (or just a whisk and some elbow grease) will do. Heat it up in a pan until steaming hot, and ta-dah! You're done. 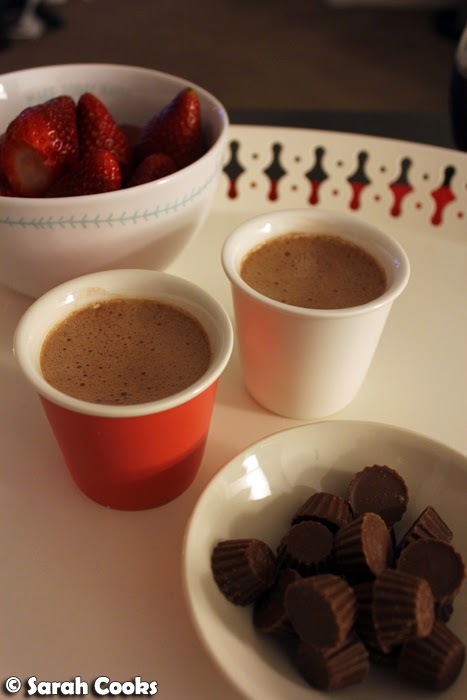 My PB hot choc is super rich, and the peanut butter is definitely the dominant taste. I like to drink it in small cups with extra Reese's peanut butter cups on the side because too much peanut butter is never enough. Here's the recipe. You're welcome. Mix all ingredients together, preferably using a blender or stick blender so it gets nice and foamy. Heat it up in a saucepan until steaming hot. Drink! Serve with mini Reese's pieces for extra peanut butter goodness. Makes one generous mug or two small cups. Funnily enough, when I finally managed to get to Bowery to Williamsburg, I loved their food but was actually disappointed by the PB hot choc. It was nice enough, sure, but the peanut butter flavour was really, really muted. In fact, it tasted more like a regular hot chocolate than anything else. (The friendly waitress there said that they make their PB hot choc by adding peanut butter ganache to hot chocolate, and in this peanut-butter-addict's humble opinion, it needed way more peanut butter!) I do love Bowery to Williamsburg, but for their fab bagels and delicious cakes. Oh my oh my... this cup of PB hot choc looks daaaaamn fiiine... So good for this crazily freezing winter indeed! But I agree with you, Bowery's version needed a lot more PB action in it. It was pretty mild. Oh lordy this sounds good! And haha too much pb is never enough! Yeah, it has been cold! This looks like just the thing to snuggle with under a blanket. This recipe is simplier than I thought, great winter warmer too. 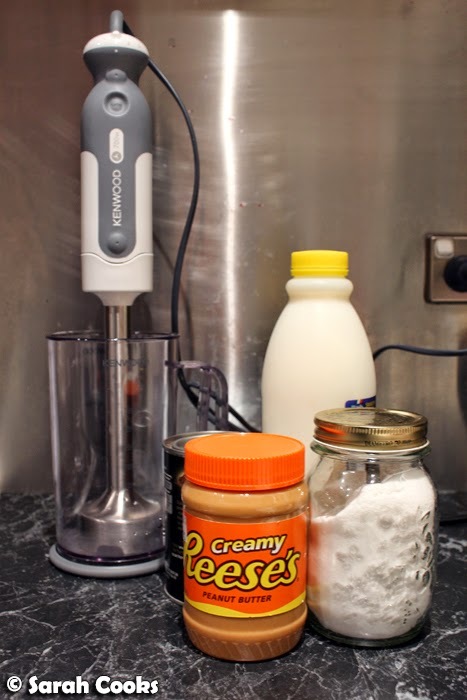 Haha, I love that you used Reese's peanut butter! I'm a real Reese's fanatic.